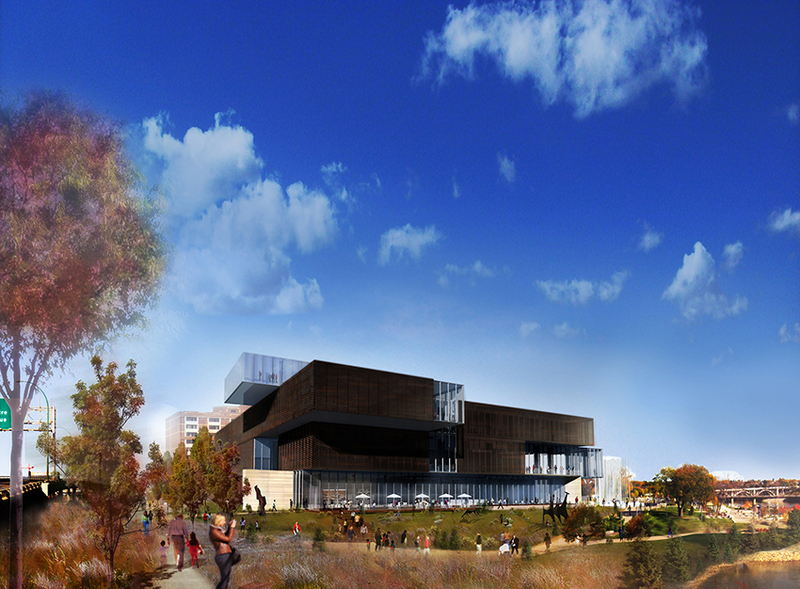 Saskatoon is getting a fantastic new art gallery – the Remai Modern – opening in 2016. This beautiful new building, currently under construction, has been designed with floor to celing windows to let in as much natural light as possible. And that’s where Burnt Timber Lifting Solutions got in on the action. Dynamic Glass and Door Ltd. were hard at work on the project, but overhangs on each floor restricted access, preventing the use of most traditional methods of glass installation. 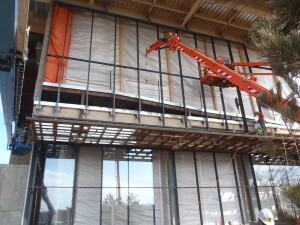 Typically the glass would be held using a larger crane and vacuum lift device, but because of the overhangs the winch cable would hit the overhang before the glass gets to where it needs to be. Our mini-cranes were the perfect solution! 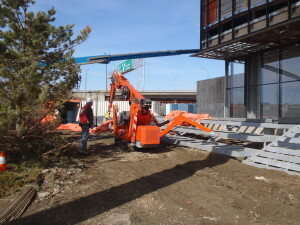 We set up the Jekko SPX527 at the site. This model was useful because of its hydraulic tilt and extension jib option. This narrow Jekko model can easily fit through spaces traditional cranes and other equipment can’t. 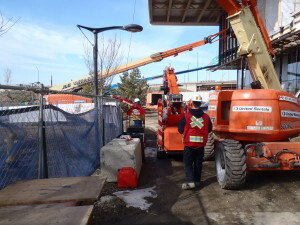 For the second floor glass installation, we tested the reach and capacity of the Jekko SPX527 mini-crane (the newest in our rental line). 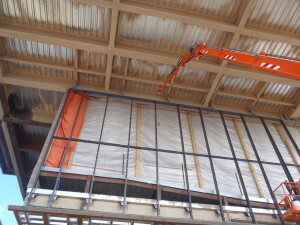 The Jekko SPX527 makes it to the top of the second floor, and easily fits in underneath the building overhang. A perfect fit.